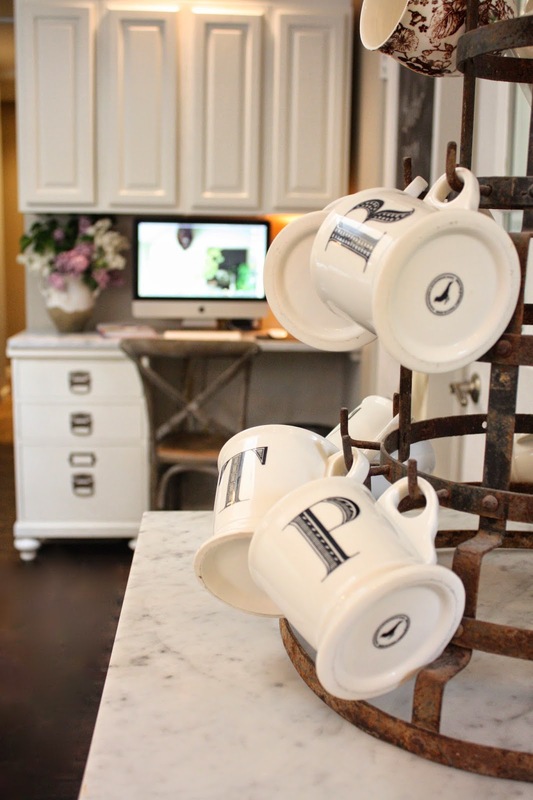 When we gave our kitchen a little overhaul, I included a little area where I can comfortably sit at the computer, blog, shop online, and work. Now that I have lived with it for a while I am wanting to take the style level up a notch. I love how it functions, but let me tell you what I have in mind! And this picture has been saved in my files forever. I would love to have a pin board like this even if I didn't ever put anything on it, I just love it! 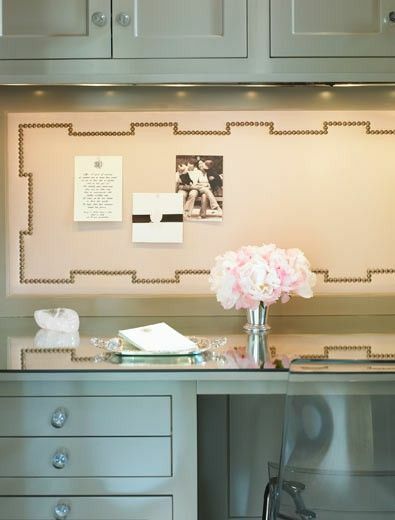 I'd also love to organize inside my cupboards and maybe actually paint the insides of them~someday…. The list just keeps getting longer and longer. You are always thinking and creating :) Love your ideas. 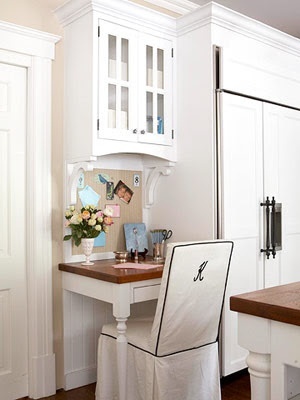 Your kitchen looks great and I love the idea of the bulletin board - perfect for organizing and the look is amazing! I don't think the house list ever gets completed. It seems like one thing gets one and we add 2 more. Love your kitchen. I like Your kitchen and almost all ideas very much!!! I wonder how You can take all Your dreams to reality! You are always creating! Thanks!